Tom Burford is a lecturer, writer and consultant with historic sites (including Monticello), private estates, landscape architects and fruit growers. 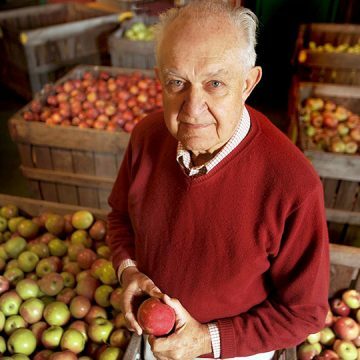 Tom is the author of Apples: A Catalog of International Varieties (Burford Brothers 1998), Fruit Grafters Handbook (Burford Brothers 2001), and co-author of the Brooklyn Botanic Garden’s The Best Apples to Buy and Grow (Brooklyn Botanic Garden 2005). Tom’s most recent book, Apples of North America (Timber Press 2013), is the winner of the 2014 American Horticultural Society book award.